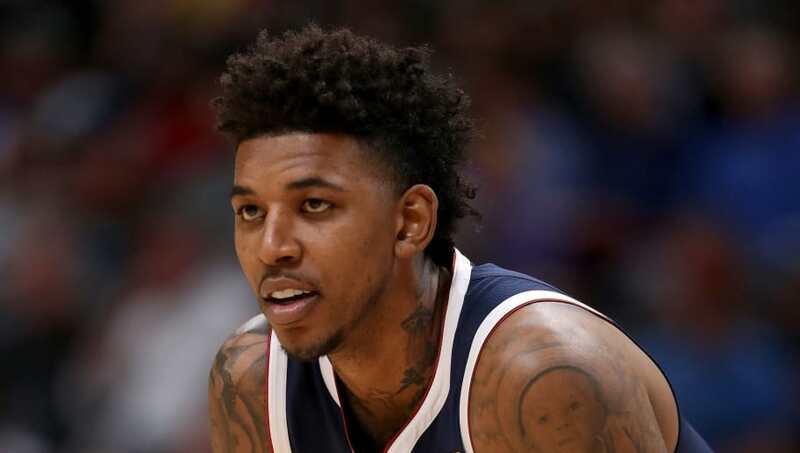 Nick Young, more commonly known by his nickname "Swaggy P", is one of the most beloved players in the NBA. His foolish antics put a smile on every fan's face, so it is always news when he gets moved around. Today, it appears that Young is going to have to begin looking for a new place to play, as his stint with the Denver Nuggets has been cut short. According to the team, the Nuggets have waived the guard ahead of their upcoming matchup against the New York Knicks. With Denver, Young only averaged a measly 2.3 points per games and never played more than 10 minutes in a game, so it is understandable why the team elected to release him. However, it is still saddening to see him get cut regardless. Where will Young suit up next? The answer is still up in the air, as it is uncertain where Young may go to continue his career. Wherever he may end up, however, fans are going to love Young's show-stopping attitude.